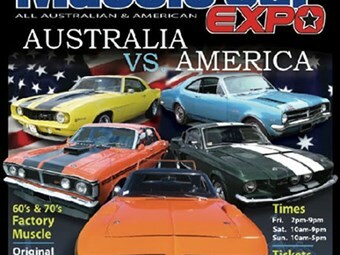 Over 130 of the world's rarest muscle cars from the '60s and '70s will descend on Melbourne for the 'Gasolene Muscle Car Expo' in July. Organised by the Gasolene TV show production, the three-day display - the first event of its kind in Australia - will be held at the Royal Exhibition Buildings in Carlton, Melbourne. On show throughout the weekend will be muscle cars from private collections never displayed in Australia before, including Shelby and Boss Mustangs, Bathurst Monaros and Toranas, Plymouth Superbirds, GTHO Falcons and Hemi Powered Dodge Chargers just to name a few. There will also be several barn finds, special interest vehicles and race cars, plus appearances and talks with celebrity past and present car racing greats, a 1/8th scale RC drift competition hosted by WOT Hobbies and plenty of trade stands. Family pass (2 adults and 2 children) $60. For more information, go to www.gasoleneexpo.com, or visit Gasolene Australia's Facebook page.